Being 30 isn't at all bad so far. In fact it's going pretty darn well. Last night we went to the Green City Market: Chefs BBQ. The event featured many of the top chefs in Chicago making small plates created with food found at the Green City Market, organic sustainable meat and produce. 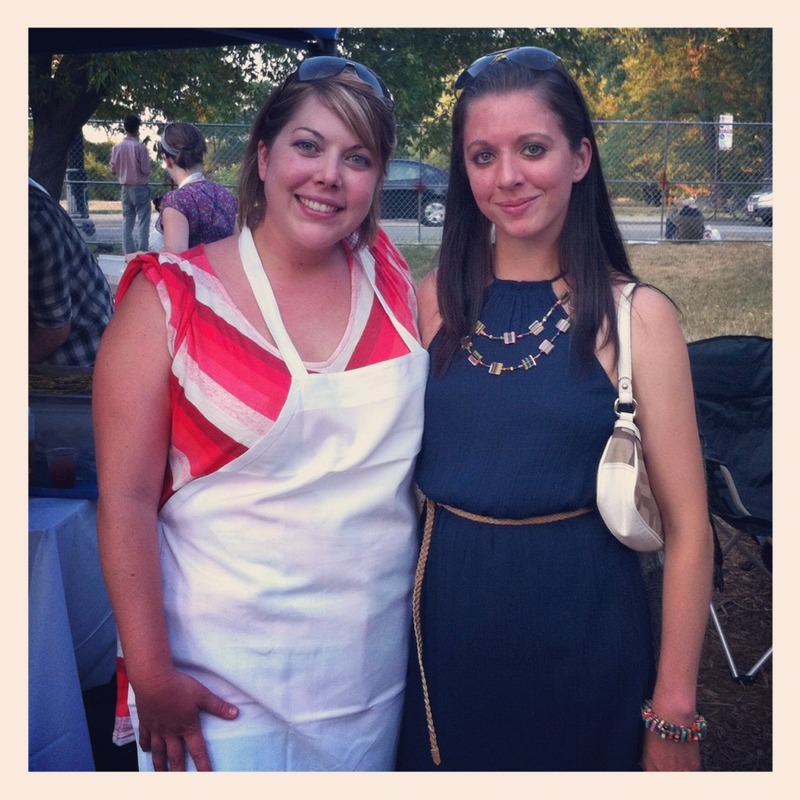 I got to meet Top Chef finalist, and executive chef at Spiaggia, Sarah Grueneberg. I admired the passion of the Chefs at this event. While each one probably explained their plate of food 1,000 times to each person that came up, they were always so excited to share the food they created. There wasn't anything that I tried that wasn't amazing. Some highlights included: a frozen strawberry margarita push pop (complete with tequila- perfect post run snack? ), peach leaf smoked tilapia with beet salad, berry pie with basil semifredo, beef short rib with kimchi.. This list goes on. Last Saturday i got a massage that hurt like hell, but now appears to have been the single most positive influence on my wonky hip to date. The girl dug into both of my hip flexors and as I was wincing in pain, I just kept thinking how this will hopefully make everything better. And it did. One week out and no achy whiny hip and I couldn't be more excited and encouraged that I might finally be beyond this 7.5 month. I plan on requesting the same therapist for my next massage in a couple of weeks. Ladies and gents, this woman is a miracle worker! We then went to Lululemon!! Where L got me some tops and a pair of shorts. Thank you L!! These shorts have honest to God pockets in them deep enough to hold a half marathon's worth of gu and salt tabs! I'm soooo excited to wear these beautiful creations soon. 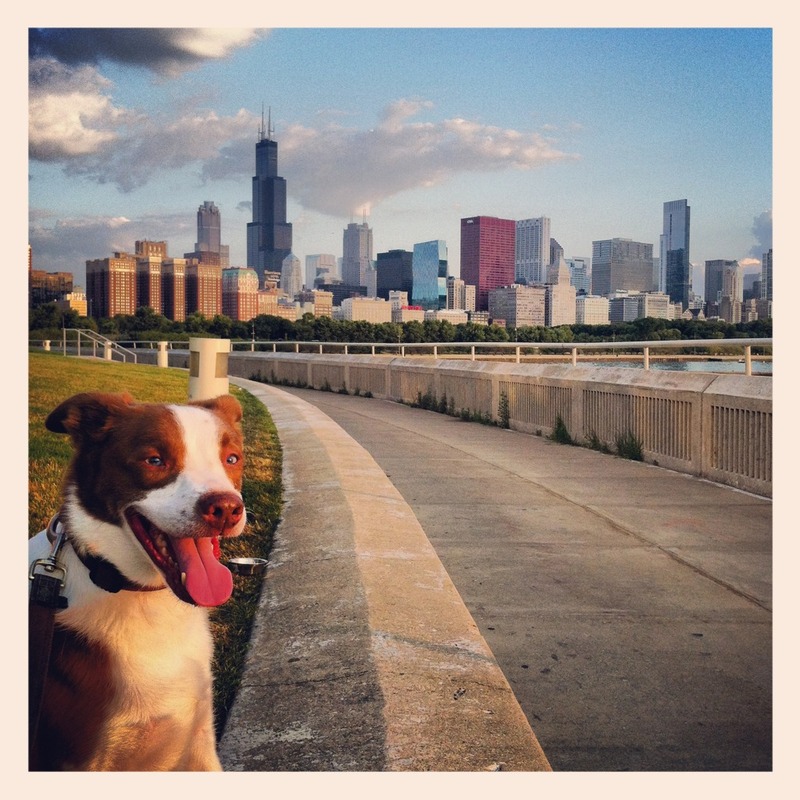 Last Sunday was my official birthday and I celebrated it with an early am run along the lake. The waves were crashing on the seawall like mad and it was a spectacular sight to see. 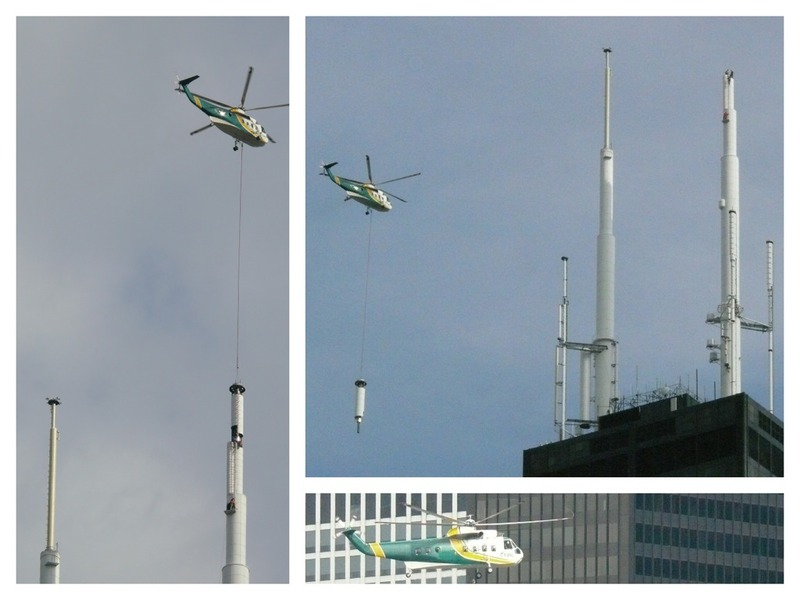 When I returned home, I saw a helicopter attached to the Willis (sears) tower. It pulled out a 40 foot long antenna and eventually placed it in a flat bed truck at the base of Willis. Crazy! 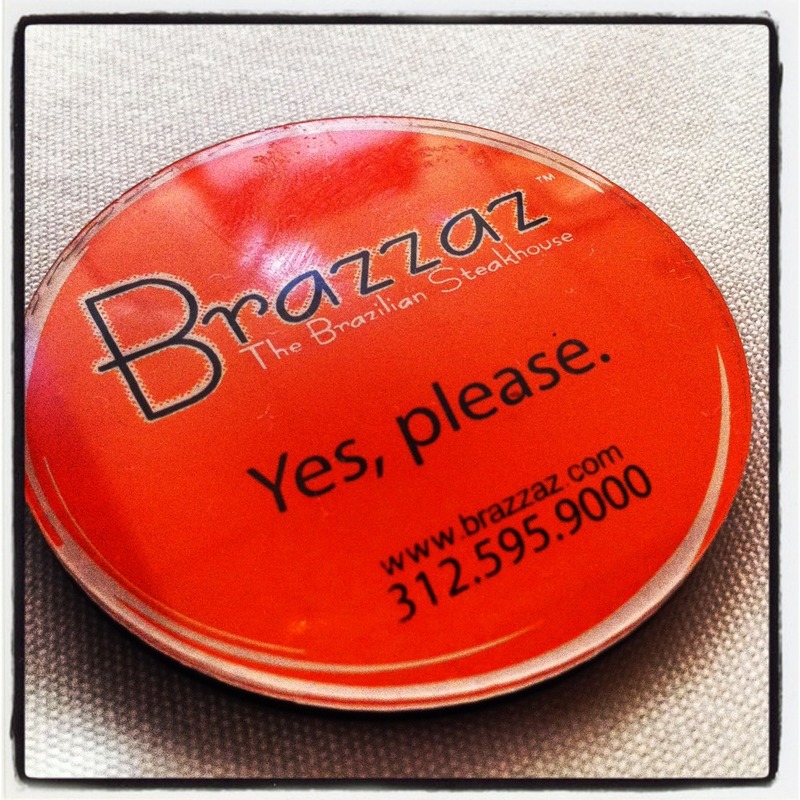 Later on we went to Brazzaz, Brasilian Steakhouse for lunch. It was amazing! 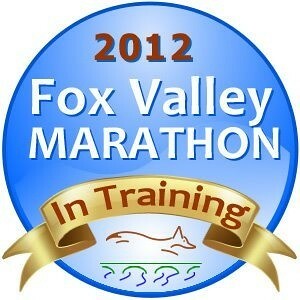 Just 64 days until I'm hopefully punching my ticket to Boston with the Fox Valley marathon. Training has been going amazingly well and I'm excited to tackle some more difficult higher mileage weeks. Yikes! Where has the time gone? Next week is the Rock n Roll Chicago half marathon. I'm pretty excited to run this since it's probably my last race before Fox Valley. My plan is to "race" it and let my legs run free (and smart) and see what I'm capable of. Best of luck next weekend! I know you will ace it! what an awesome week you've had! and most importantly: where did you go for this massage and who was the massage therapist? i'll be cheering you on at RnR! i'm running the 5k then i'm going to stick around and cheer on the half marathoners. i'll be looking for you! I'll see you at Fox Valley, but from a long, long distance, as a BQ time is nowhere near my time. SO happy that the massage worked for your hip! That is awesome, and what a huge relief! 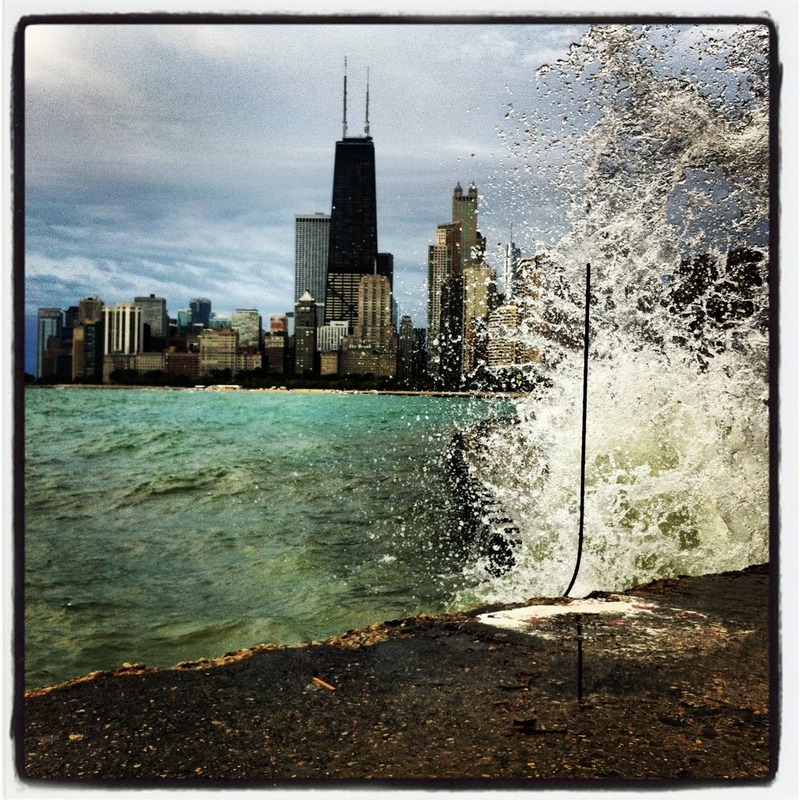 You are FULLY ready to knock RnR Chicago OUT OF THE WATER this weekend. WOO HOO!!! I'd never heard of the Green City Market so thanks for passing along the word. Gorgeous blue dress and necklace. And I love love LOVE the new clothing from Lululemon, especially the two tops!